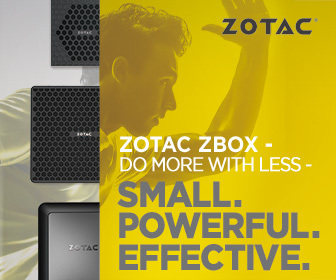 It’s the usual box and packaging from Zotac. You’ll find an envelope with the drivers disc and warranty information. There’s also two PCIE power extension cables included. The card itself is HUGE. It’s a full length card and takes up 3 PCIE slot space. It also weighs quite a bit, due to the massive heatsink. The IceStorm Cooling with 3 EKO Fans, along with the metallic ExoArmor backplate helps to provide sufficient cooling. You’ll also notice the Zotac logo which lights up and can be controlled by the SPECTRA software. The heatsink is massive and you can see the large copper heatpipes within the fan shroud. The card requires both 8-pin PCIE power cables to be connected, so that it can provide sufficient power. For connectivity, you’ll find 1 x DVI, 3 x DisplayPort and 1 x HDMI, which more than you’ll ever need. I only wished it had an extra HDMI port. No issues with installation, but because the large is huge, you might want to check that you have plenty of room in your chassis. Remember, this card takes up 3 PCIE slots space, which doesn’t leave a lot of room for other components. As you can see from the photos above, there’s not a lot of headroom around the PCIE or memory slots. It’s very tight.